You can’t always take care of everything at the same time when you’re running your business, but mobile on-site drug testing can help when it comes to hiring employees and maintaining a drug-free workplace. This type of drug testing will allow you to remain focused on your current project, and different types of tests are available for your employees to suit your needs. You can get real, professional results that you can use to improve your business without having to send employees offsite. Here’s how to keep business moving with mobile on-site drug testing. It’s tough to keep pushing your business when you and your employees must take time out of your day to go to a testing facility for drug screenings. Depending on the nature of your workplace drug and alcohol policy, this time can really add up. Thanks to mobile on-site drug testing, you can get these drug and alcohol tests out of the way without being too far removed from your work. Different types of workplace drug and alcohol policies require the use of different types of tests. When you head to a facility you’ll know just what you’re looking for and you’ll be presented with the necessary options. Fortunately, this is also the case when it comes to mobile on-site drug testing. Mobile on-site drug testing might not be so feasible if it was unable to provide the same high quality results as other kinds of drug testing. You need accurate and reliable results in order to detect a drug problem and enact a solution, and mobile on-site drug testing will give you exactly that. Are you interested in keeping your business moving while conducting drug testing in Arizona? 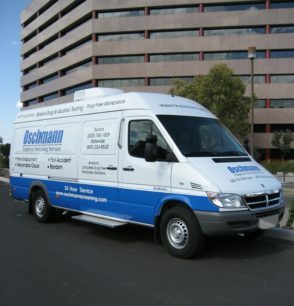 Call Oschmann Employee Screening Services at (800) 224-8532 or stop in and meet with us. You can also visit our website to learn about our drug testing and DOT compliance services.